Children are sure to enjoy this easy-to-color Easter Disney coloring for children . Create a piece of art to hang on your fridge. 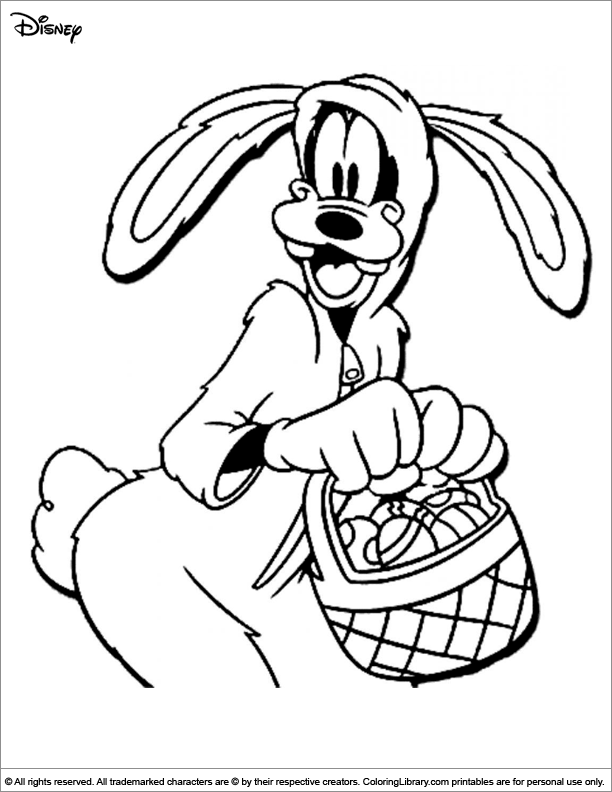 Look at all the Easter Disney coloring pages in the main coloring library, they are all free to print and they are a simple and easy way to encourage and enhance creative expression.